Girl Kuripot Girl Kuripot: Girl Kuripot Giveaway - 20 Winners of $70 Wimdu Vouchers! Girl Kuripot Giveaway - 20 Winners of $70 Wimdu Vouchers! This is a one-week Girl Kuripot Giveaway! Let's make it fun and let you get more value from Wimdu! Travel Like a Local and go wherever you want to go with Wimdu! Experience the local scene by booking at local's homes all over the world listed at Wimdu. Girl Kuripot wants this available in the Philippines! I am giving away Twenty (20) $70 voucher codes exclusively for Girl Kuripot subscribers! Here's how! You must complete all. 1. Subscribe to Girl Kuripot by email and verify your address. 2. Answer the question on the comment box and leave your full name and the email address you used to subscribe. 3. 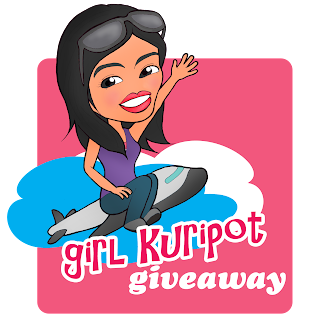 Join the Girl Kuripot - Business Traveller Giveaway from June 1 to 6! Remember to follow instructions! These $70 vouchers will all expire on June 15, 2011! BUT those who book by June 7 will get an extra $40 for the next booking! Booking early has rewards=) I want you to get that too so I will announce the winners on June 6, 2011 6:00 a.m.! Contest Period: June 1, 2011 to June 5, 2011 11:59 p.m.! While waiting, check out the Wimdu website already to figure out where you want to go! Oh, and they're giving away $150 more here! the fact that i get to experience other culture, i get to meet different kinds of people and i get to go to one-of-a-kind places are the things i love about traveling! 1) The reason I want to travel simply because it broadens my horizons and helps me understand people and their cultures better. 2) One can try my experience of doing laps at Sepang Int'l Race Circuit in Malaysia, what's uncommon about it was we drove right hand drive civics. 1. Traveling makes me relax and enjoy some adventures that my everyday routine can not provide. 2. Just last month, we went to Bahay Bakasyunan in Iba Zambales. I love travelling because I get to see and learn the culture of the local people. And of course the spots worth visiting! Traveling to new places gives me the opportunity to be me, sans the pretension of the corporate world. I can be just me without the compulsion to be great, efficient or professional. I could give in to my whim without worrying about the perceptions of the clients, co-workers and superiors. On best days, you can even be somebody else when going to new places. There are a lot of places to explore but here's my humble suggestion to Pinoy travelers. Before exploring the world, try the Philippines first. You can start with Batanes, but do this in Summer. One place you should not miss is Busuanga, when traveling Luzon island. Then jump to Visayas, Bohol is good. End with Siargao or Zamboanga. I was lucky that my mom used to work abroad. We were given that chance in a year to be with her and enjoy the country she works in. I grew up mostly with my dad, so I cherished those moments I had with my mom. I guess the reason why I started to love travelling is not only I get to see my mom, but I also get to experience a whole new different world for free and with the people I love. That wonderful first travelling experience I had was with South Africa. Initially, I thought it would be hot there, but I learned it is actually cooler there that I could even see my breath. As a kid, I became open to different ideas, such as how bad racism was before through the Apartheid museum. But despite that, it was nice to see a beautiful and clean country where interestingly, students walked home barefooted. They also had exciting amusement parks, the amazing Table mountain, a great safari, and awesome food. Though I was lucky to have had chances to explore Malaysia's famous sights, Thailand's exotic foods and elephant ride, and the parts of the US with our relatives; nothing compares to South Africa, my love at first sight. what i love most in traveling is going and see the beautiful places. a not so common travel experience is traveling without money.